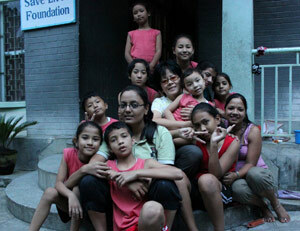 Tejal Ladha, 25-year-old HR and Admin Manager, volunteered in Nepal with Volunteering Solutions during year 2011. She is from Nairobi, Kenya and attended school at Oshwal Academy. Her hobbies include: mountaineering, swimming, Taekwondo, photography, camping, soccer, and basketball. Why did you decide to volunteer with Volunteering Solutions in Nepal? I was actually visiting Nepal and Tibet for an adventurous trip and was headed to Mt. Kailash in Tibet and then the Muktinath trek in Jomsom, Nepal. Also like any tourist, any country I visit I love to get to know the people, the culture, the morals, the values, etc. and I thought what better way than to volunteer at a local orphanage in Nepal to gain the experience of the locals as well as give back to the less fortunate. I searched for organizations online and came across Volunteering Solutions and the details on the website seemed legit and I decided to give it a shot. Since I was going to be mountaineering for nearly 2 months, I decided to make my volunteering schedule short and I enrolled for "volunteering at a local orphanage for 1 week program," which by the way I regret sincerely for not extending. Early morning - help out the children get ready for school, so I'd help them put on their clothes, do there hair ,make sure all the books and lunch tins were in there bags. This particular orphanage, Save Lives Foundation, had early morning English tuition's so I'd help the children out with the extra help offered to them by the organisation. e evening. As soon as the kids got back from school they'd have supper, which was prepared earlier on, and then they all get together in the study room where they have a tutor come in and help with there homework, so I'd help out too. sonalities of the children and they'd read there story books, we'd exchange our personal experiences of life and share some of our pictures with them, which they loved. The children have karate classes once or twice a week, the trained "OM" would come and the children loved it. They trained for about an hour and so did I. The specialty about volunteering abroad was the hospitality both with the locals and the unique host Uma at Save Lives Foundation. The warmth, homely feeling and the respect that I experienced from all the children and the team there will be cherished my whole life. Uma, the host, was not just a mother to all the children but was so friendly with all the volunteers. Being a vegetarian, I was unsure in the start that I'd get proper food but she proved me wrong and made sure she made food for me that was served to me separately. The tiny little things she remembered about me made me realize that I was not a guest but was and will always be a part of the family at Save Lives Foundation. place at. The kind and humble person she is picked us up and invited us to her house and let us be apart of the on going celebrations, and as the celebrations got over which was pretty late at night dropped us back to the orphanage. This just made me realize that humanity is the biggest religion in this world. Cause neither of us volunteers have any connection with her or her family but they made us live every moment to the fullest. The highlight of my experience was the day I took the children to the Fun Park. The excitement and smiles on there faces was invaluable to me and once we got back to the orphanage each and every one of the children came and hugged me and could not stop thanking me. It felt like as though I put the world at their feet. But that moment meant the world to me and made me realize that a small gesture can make the biggest difference in one's life. I would definitely visit the Save Lives foundation in the future and I thank volunteering solutions for having given me the opportunity to work with there organization as I met some amazing people there, Lai See Chew one of the oldest and most supportive volunteers at Save Lives. This experience has made me realize that things don't come in easy, what we all are going through is nothing compare to the situation the children at orphanages go through (and I mean no mistreating or violence) but I mean the fact that they have to live a simple life. The comparison with there lives and my life just makes me realize how blessed and fortunate I am to have the fun loving and supportive family and friends I have. The impact on my future will always be to value, cherish and be satisfied in whatever I have and receive. The 3 essentials in life are food, clothing and shelter and in today's life the 4th one is education. If one has the 4 mentioned essentials they should consider themselves rich and blessed. The zero's after the the single digit in one's account should not really matter.